Join congenial hosts Larry & Lynda Jackson, for hosted cocktails and dinner at the Tuscany Grill. 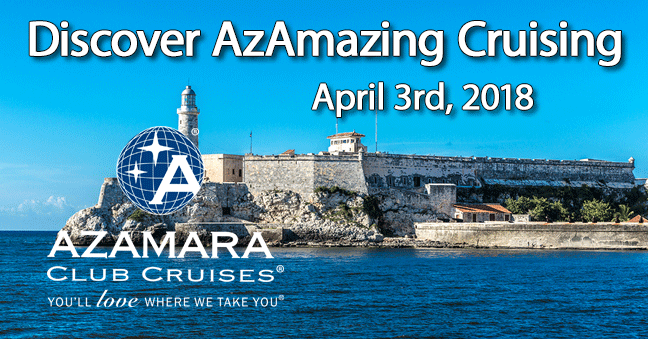 Come out and meet your fellow group members, and discover AzAmazing Evenings with Azamara Club Cruises. Lionel Garcia,Strategic Business Development Manager for Azamara Club Cruises will be presenting and conducting a FAQ session. The highlight of the evening will be our featured voyage to Cuba next February.